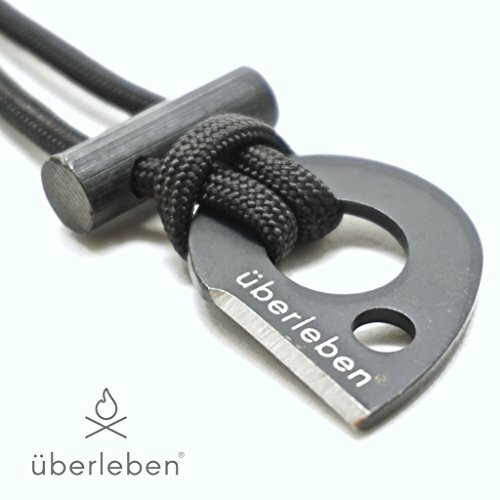 Introducing the Überleben Leicht. Our smallest and lightest fire starter yet. Weighing in at less than 1oz (0.8oz), there's no real excuse to venture anywhere without one. Is the Leicht a heavy duty fire starting work-horse? No. Unless you're the horse working. This is a fire redundancy. Because your fire kit should be distributed across many places -- not just an Altoid tin. Striking a short 1" rod isn't the most efficient way to start a fire. And we designed it that way intentionally. Super light. Super minimal. Always on you, in the event you need it.